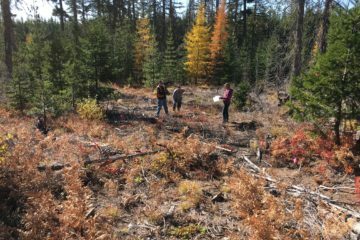 Forest Collaboratives engage in a voluntary process through which a diverse group of stakeholders, some of which may be in conflict, enter into civil dialogue to collectively consider actions that improve the management of natural resources and benefit both the environment and surrounding communities. 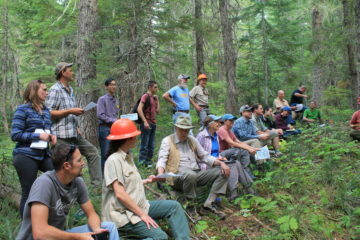 The South Gifford Pinchot Collaborative (SGPC) is a community-based partnership that participates in the development, facilitation, and implementation of projects that enhance forest ecosystem health, economic vitality, recreation, and public safety on the south end of the Gifford Pinchot National Forest and in surrounding communities. Dedicated to keeping Americas trails open for all. Perpetuate the common sense use and enjoyment of horses in America's back country and wilderness. Protect and sustain forests, stream, wildlife, and communities in the heart of the Cascades through conservation, education, and advocacy. Mission is to understand, protect and celebrate Mount Adams and its surrounding ecosystems through education, research, stewardship, advocacy and public events. Now a third generation family-owned company, Hampton has grown to include nine sawmills in OR, WA, and BC. A deep commitment to people, community, and sustainability guides the work of Hampton Lumber's 1,600 employees. Located in south central Washington state, Klickitat County lies at the junction where the Columbia River Gorge cuts through the eastern slopes of the Cascade Mountains encompassing 1,908 square miles. Holds the Gifford Pinchot NF accountable in managing the National Forest per the NWFP’s 5 Key Principles to meet the dual needs of forest habitat and need for forest products for healthy forests and healthy communities. 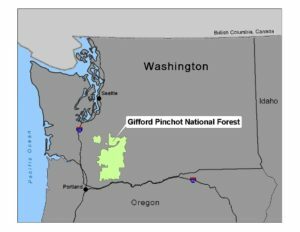 Local residents and community members on the south half of the Gifford Pinchot National Forest represent their diverse personal and community interests. Mission is to promote sustainable connections between the land, local economies, and rural communities in the Mt. Adams Region. Represents the 3rd district that stretches from the Pacific Coast in the west, through the Columbia River Gorge in the east, and from the town of Bucoda in the north to the Columbia River in the South. To provide support for the financial stability of the county through advocacy of responsible forest management and development of the county’s natural and business resources, both public and private. SDS Lumber Co. manufactures Lumber, Plywood, and Pulp while Stevenson Land Company is focused on managing ~70,000 acres of timberland in the mid-Columbia gorge. These two companies work in partnership to grow high-quality timber and manufacture high-quality lumber products. Located in southwestern Washington, Skamania County extends from the northern shores of the Columbia River, through the forested ridges and ravines of the Cascade Mountains, north beyond Mount St. Helens, and east to the flanks of Mt. Adams. Our mission is to serve as responsible stewards to limit the economic loss and adverse environmental effects to Skamania County’s agricultural, natural, recreational, and human resources as a result of the presence and spread of noxious weeds. 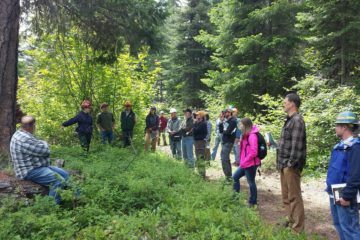 Engages landowners and land users throughout Skamania and west Klickitat Counties in the conservation, enhancement, and sustainable use of natural resources through voluntary stewardship. Mission is to preserve, enhance, and promote hiking opportunities in Washington State through collaboration, education, advocacy and volunteer trail maintenance. Promoting and Protecting: supporting and adhering to the toughest timber harvesting regulations in the nation. The SPGC meets monthly on the 3nd Thursday from 1:00 PM to 3:30 PM at the Hegewald Center in Stevenson, WA. Reach out via the Contact Us if you are interested in learning more about the SGPC or if you would like to attend a meeting.